(SAN DIEGO, CA – February 4, 2019) The San Diego Seals are proud to announce that Austin Staats has been selected as The World Games Athlete of the Month for January 2019. Staats is the first lacrosse player ever to be so honored. Staats is among the league leaders in points (31) and goals (18) in the National Lacrosse League. He has helped lead the Seals to a 4-2 record and first place in the NLL Western Division standings in this, the team’s inaugural season. In January, Staats registered 13 goals and 20 points in four games, leading the Seals to a 3-1 record. Last year, at the 2018 FIL World Championships in Israel, Staats scored 16 goals in helping Iroquois National Team secure the bronze medal. He was named to the All-World Team at the tournament. 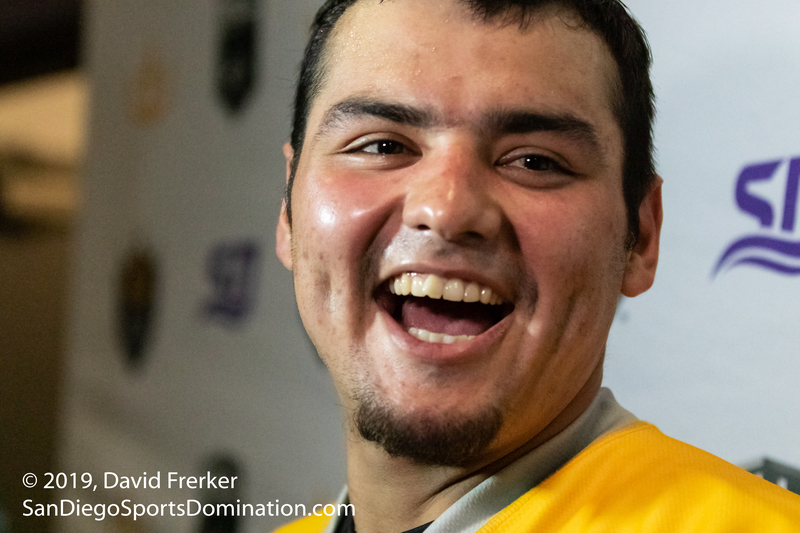 Watch Austin Staats and the first-place Seals take on the Vancouver Warrior when the team returns home to Pechanga Arena San Diego on Fri., Feb. 8. Reserve your seats today at SealsLax.com.